A foam roller is one of the best tools you can get for improving your body. Foam rolling can help you avoid injuries, by making muscles more resilient, eliminate adhesions in muscle tissue and improve your posture. How so, you may ask? Well, foam rolling relies on a principle known as Self-myofascial release or SMR. Self-myofascial release is able to relax the muscle by triggering a reflex within the muscle-tendon junction. It applies physiologic principles in a very simple, self-controlled and modulated manner. Your muscles will become stronger but also more pliable as well. Indifferent of your occupation, if you’re a strength athlete, bodybuilder, contact sports practitioner or just an ordinary weekend warrior, it’s important to have the strength and optimal muscular function through a full range of motion. So, try using these principles for your next workout sessions to improve your performance and recovery. Try these with the feet turned in, out, and pointing straight ahead to work the entire hamstring complex. Keep most of your weight on your hands and your legs resting on the foam roller. Roll from the base of the glutes to the knee, shifting your bodyweight towards your legs for increased intensity. Execute for 30 seconds, then switch to the other leg. Position yourself face-down towards the floor, balancing on your forearms and one thigh on the roller, similar to a plank position. Roll from the upper thigh to the hip. You can increase loading, by stacking one leg on top of the other. Execute for 30 seconds, then switch to the other leg. Just as before, balance on your forearms, face down, but this time, the top of one of your inner thigs rests on the roller. Roll from the top, all the way down, just above the inside of your knee. Execute for 30 seconds, then switch to the other leg. 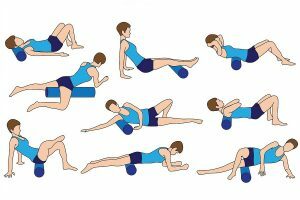 This is very similar to the hamstring position, only this time, you’re going to sit all the way up on the roller. Roll your glutes on it, shifting your weight in accordance to the intensity you’re looking for. Execute for 1 minute. Put your arms behind your head, as if you were about to do a crunch. 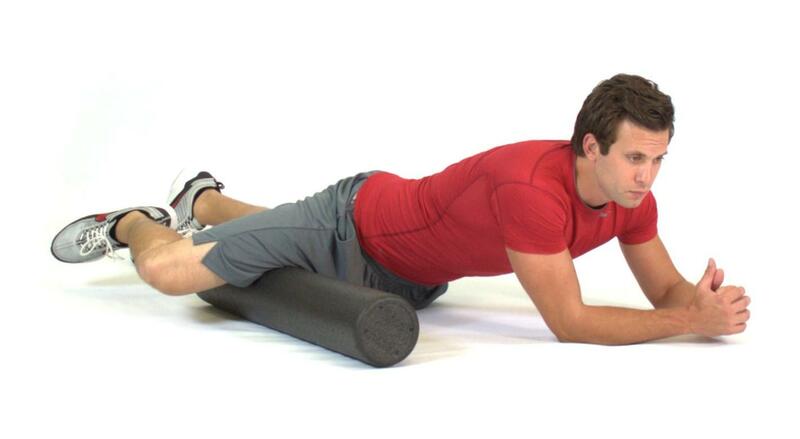 Rest your upper torso on the roller, in the middle of your back. Your glutes should be positioned on the floor. Roll upward, and then come back down when reaching your lower neck. Try hyperextending your thoracic cavity as well, to get the full stretching benefit. Execute for 1 minute. The latissimus dorsi and teres major are the major muscles that comprise your lats. To reach them you will need to lie on your side, with your arm overhead. The roller should be positioned just below your armpit. Roll down towards the middle of your torso, and back up. Execute for 1 minute on each side. Fold your arms across your chest, while resting face-up, with the roller positioned under your mid-back. Raise your glutes off the floor, and roll from the base of your shoulder blades, to the top of your pelvis. You can also lean more towards each side, to increase intensity. This will be very helpful for correcting posture. Execute for 1 minute. The triceps are the muscles that extend your arm. For this, you need to start on your side, the same as for the lats, only this time, you will place the roller higher up, near your armpit, and your head will rest on top of your arm since there is lesser pressure bearing down. Try rotating your arm, for complete triceps coverage. For biceps, you will need to position your arm underneath you and adjust the roller accordingly. Execute for 30 seconds, on each side. 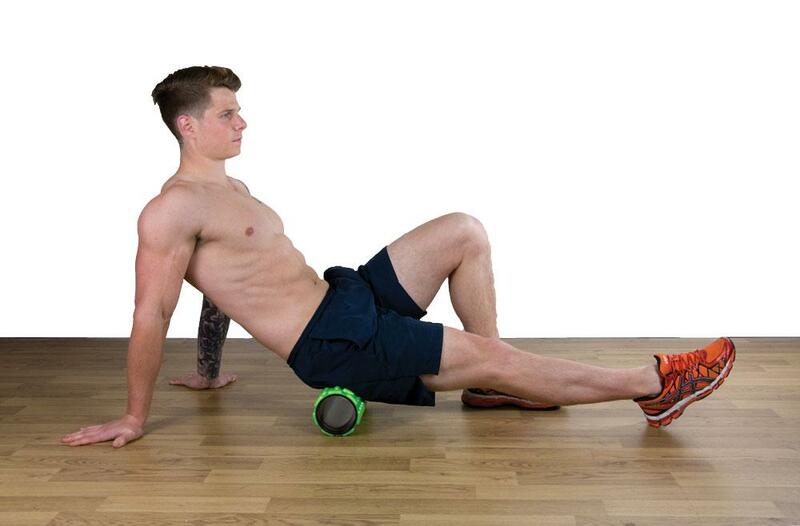 You do not need to spend a great deal of money on a foam roller. Just get one that’s a decent quality but won’t break the bank. You can find them in any sporting goods store or online. If you’re just getting into foam rolling, opt for a softer one. This will place less pressure on your muscles and will be more comfortable. As you progress, you’ll move up to stiffer ones, to get the intensity you need.